Know Kofa Class of 1966 graduates that are NOT on this List? Help us Update the 1966 Class List by adding missing names. Our hardworking reunion committee is working diligently to plan a memorable Kofa class of '66 reunion in November. The committee is headed up by none other than Bruce Gwynn, our forever class president, still leading us to ensure we have an unforgettable 50th class reunion. 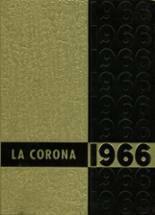 More 1966 alumni from Kofa HS have posted profiles on Classmates.com®. Click here to register for free at Classmates.com® and view other 1966 alumni. If you are trying to find people that graduated in '66 at Kofa High in Yuma, AZ, check the alumni list below that shows the class of 1966.